If you’ve got SAS running within your organization, which is likely considering that over 90 percent of the largest global firms have SAS, you’ve probably been hearing a lot about SAS® Viya™, which drives many of the latest enhancements of the SAS platform. But amidst all the talk about microservices and actions, procedures and IaaS, you may be asking yourself: So what? What’s in it for me, the line of business owner? Let’s address that crucial question by quickly running through the diagram below and translating it into business value. Starting from the left side, we’ll lump together the source-based engines and the in-memory engine. They mean two things for you: Speed and simplification. Speed. It’s ALL in-memory now, or all in-database because that’s the fastest way to process terabytes (or more) of data. At the time of execution, this means everything runs faster. You get alerts faster and can make decisions – human or automated – faster. A lot faster, as in an order of magnitude faster. And it means you don’t have to analyze just a subset of your data – you can analyze ALL of it every day if needed. But that’s just the tip of the iceberg. For every execution cycle in the production environment your analytics team went through dozens and dozens of iterations to develop and refine their models to arrive at the best one to deploy. And they'll run through dozens more maintaining and updating the model during its lifetime, which adds up to a lot of time spent on those iterations. If you can improve model run time by an order of magnitude, you can double or triple the productivity of your analytics team. What’s more, you can embed those analytics-based actions into source systems, operations, data streams, you name it – so the best action happens faster. That's where the real payoff in speed comes from – your teams now have the time they need to work on more of the business problems stacking up in their endless queue. If all they ever managed to work on previously were outbound marketing campaigns, now they can address retention as well. And quality. And customer service. Your entire operation is data-driven, now it can all be analytics-driven as well. Should you care about microservices? Well, you may not, but IT certainly will. For you it means that system updates and maintenance of your SAS platform is easier and isn't nearly as disruptive of your day-to-day operations. What about the bottom of the diagram – the cloud providers that are supported? IT will be happy with the options available – picking the most efficient use of cloud resources, whether public, private or hybrid, and not solely dependent on internal IT operations (albeit you can do that too!). Your analytics platform needs to be flexible to accommodate all the independent factors that vary by application. One model may be compute intensive, another a memory hog, another will depend on terabytes of big data, while yet another may involve a varied number of users by time of day or month. You don’t want to have to size for the combined worst case – you’d like to be able to shrink and expand when you need to, swap out cloud providers as desired and not have to pay for underutilized capacity and resources. For you, that means sizing and shaping your analytics platform to address your questions, needs and even budget – as you dictate, not as your provider does. We’ve saved perhaps the best for last, however – that little part down in the bottom right labeled “APIs”, which represents a completely new way to interface with SAS. through application programming interfaces to SAS Viya product capabilities. You have programming and analytic staff across your organization, proficient in a number of coding languages that you’d like to make better use of, such as skills in Python or Java. But you can’t go operational in all of them – the duplication around security, data governance, and model management is simply too costly. Going rogue and one-off and using skunk works is fine for development, but unsound when it comes to deployment. 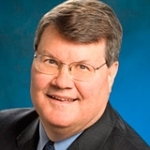 SAS’ answer for this is to provide you with a tried-and-true platform through which you can deploy analytic models developed in nearly any environment, not just those written in SAS code or from integrated SAS solutions. Example: You’ve got a brilliant Python team coming off a successful project in quality control and you’d like to be able to get them working on your next biggest priority – brand-oriented marketing campaigns. But whereas the team previously developed for a specific production/QC environment, now you need them to integrate and deploy on a more generalized marketing operations platform. Before SAS, despite perhaps having developed the best models in the domain, there was no way to deploy them without risking the integrity of the larger process. This becomes even more critical for applications that have compliance or business continuity risk. Common data governance and access. Common user access and security. Central model management and version control. The ability to run model comparisons between multiple Python / SAS / other models and evaluate / select the champion model for deployment. The ability to use SAS to run Python and other models in-memory or in-database (how was the Java team going to do that without creating an entirely separate operational environment?). One code base so teams can write once, deploy anywhere. Your diverse programming and analytics teams are going to love this. Your IT staff will also be grateful, because now they can govern, secure and control these experimental analytic silos that have popped up – and trace, track and test more easily and thoroughly. Finally – access to the deployment environment no matter what my development skill set is! As your organization becomes more data-driven, and more analytics-driven, both the bottlenecks and the risks will come to be associated primarily with operational deployment. How do I make the best use of all available data sources, all the best technology and infrastructure, all the best analytic models, and still stay sane in the process? 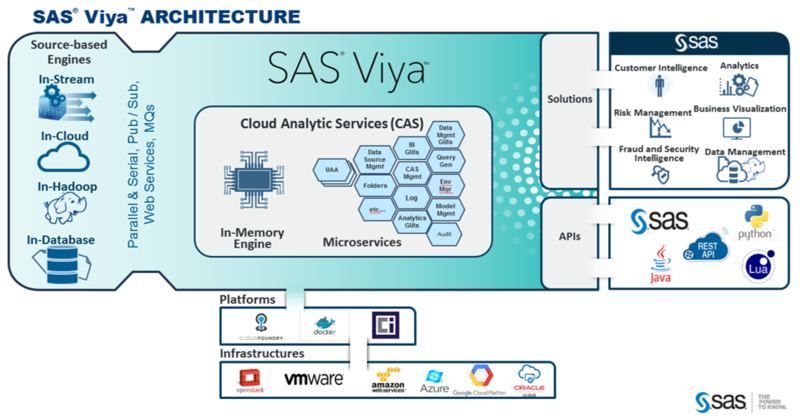 Using SAS Viya for analytics, management, and deployment offers not just the best of both worlds, but the best of many worlds and capabilities. Of course, through SAS there have always been ways to embrace open source technologies. That being said, with the SAS Viya enhancements to the SAS Platform, you can now get at all the capabilities, and not just ones limited to a few select products. Thanks Leo. Great information on SAS Viya.